The Textile Arts Council is an assistance selection of the good Arts Museums of San Francisco, intended to advance the admiration for the Museums’ textile and costume choices inside the Bay region neighborhood. We pursue this objective through our scheduled lecture programs, visits to working artists’ studios, hands-on workshops, our digital Newsletter, and intercontinental vacation possibilities. The de teenage Museum and its sister museum, the Legion of Honor, collectively comprise the good Arts Museums of San Francisco, the greatest community arts institution when you look at the town and something associated with the of this biggest art museums in the us. The de Young Museum originated whilst the Fine Arts Building for California Midwinter International Exposition in 1894 and launched as a museum in March 1895. The choices of the museum like the textile choices were thus grounded in a wide reaching overview of world tradition. In 1924, the California Palace of Legion of Honor was exposed with a focus on European art along with textile choices that included tapestries, ecclesiastical vestments, lace, women’s fashion and outfit accessories. In 1972, both museums merged to make the good Arts Museums of san francisco bay area. Into the Loma Prieta quake of 1989, the de younger building experienced considerable architectural harm as well as in 1997 the Federal Commission on the Arts and Humanities stopped to indemnity events because of the seismic vulnerability. The decision had been made to raze the building and rebuild on a single footprint in Golden Gate Park. The previous de Young Museum structure closed into public on December 31, 2000 plus the brand-new de younger started on October 15, 2005. With the re-opening of de teenage, the Textile division was given a brand new prominent house. This new facilities have offered a state-of-the-art convention, training, conservation and storage area completely around twice the area afforded by the old museum. Undoubtedly, the Textile Department makes great strides in the last three decades. While both museums gathered and exhibited textiles and costume from their particular beginning, the textile division was not set up as a separate department until 1983. The founding for the division was because of the continuous efforts of a talented and energetic volunteer, Anna Gray Bennet. As a museum volunteer into the 1970’s, Anna Bennet took a pastime into the tapestry collection. She, aided by the woman husband Ralph, led an endeavor to wash, conserve, and analysis all of them, which lead to significant convention in 1976 followed closely by catalogue. During the woman tenure on museum, both as a volunteer and also as the first textile curator, Anna Bennet curated several preferred events on Western outfit and textiles including Undercover Agents, a hundred years of Brides, and lovers in Fashion and was also in charge of founding the Textile Arts Council. The inspiration of non-Western fabrics during the de teenage was solidified by an important present of Central Asian carpets and fabrics by H. McCoy Jones and his spouse Caroline in the early 1980’s. The Jones present not just place the de younger from the map of intercontinental rug gathering globe but additionally launched the doors for both exhibiting and gathering non-western fabrics. After McCoy Jones death, their partner Caroline continued to generously support the department through several gift suggestions. It had been decided in honor of their unlimited generosity that the division will be named The Caroline and H. McCoy Jones division of Textile Arts. 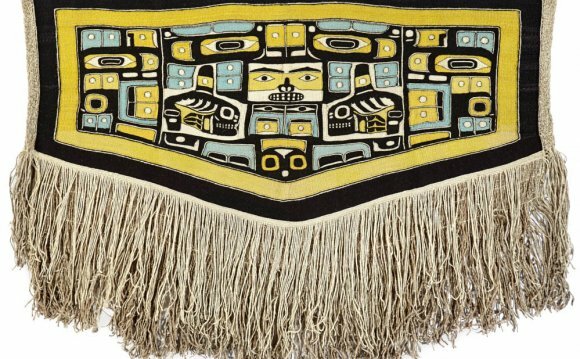 From 1982 -1996, Cathryn Cootner curated the non-western textile collection, Melissa Leventon served as curator of western outfit and fabrics from 1986-2002, and Diane Mott served as curator from 1996-2009. The Caroline and H. McCoy Jones Division of Textile Arts is currently in curatorship of Jill D’Alessandro. During the time of the beginning of the Textile Arts Council, our Acquisition Endowment Fund had been founded to annually provide resources for purchase of items to enrich the textile choices. Given that fund’s principal has exploded through the years, the amount of money available to get new fabrics has additionally cultivated. The curators propose the acquisition of things they think will improve the selections toward Board of Directors, which after that perform on behalf of the membership to release the required resources. All such purchases are then identified as “Museum Purchase, Textile Arts Council Endowment Fund” on the museum label.